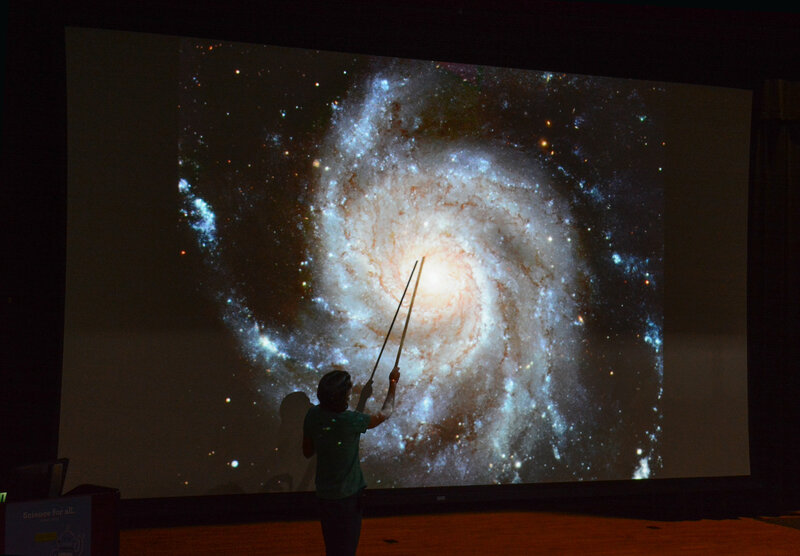 Guilford Technical Community College will host its annual astronomy festival, TriStar, March 2–3 on GTCC’s Jamestown Campus. The event gathers astronomy enthusiasts, from novice to professional, for a full day of presentations, displays and observing. It is free and open to the public. 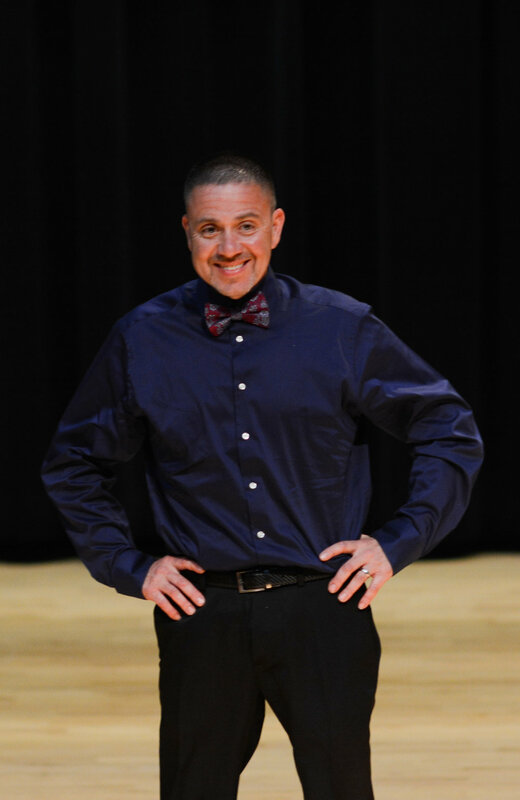 Guilford Technical Community College announced today that President Dr. Randy Parker has been selected to receive the Shirley B. Gordon Award of Distinction by Phi Theta Kappa (PTK), the international academic honor society for community colleges and two-year colleges. Guilford Technical Community College will hold a job fair on Wednesday, Feb. 21, 2018 at its Greensboro Campus for professionals in the industrial, construction, engineering and transportation technologies fields. The event will connect qualified students, alumni and professionals with companies in this in-demand career field. 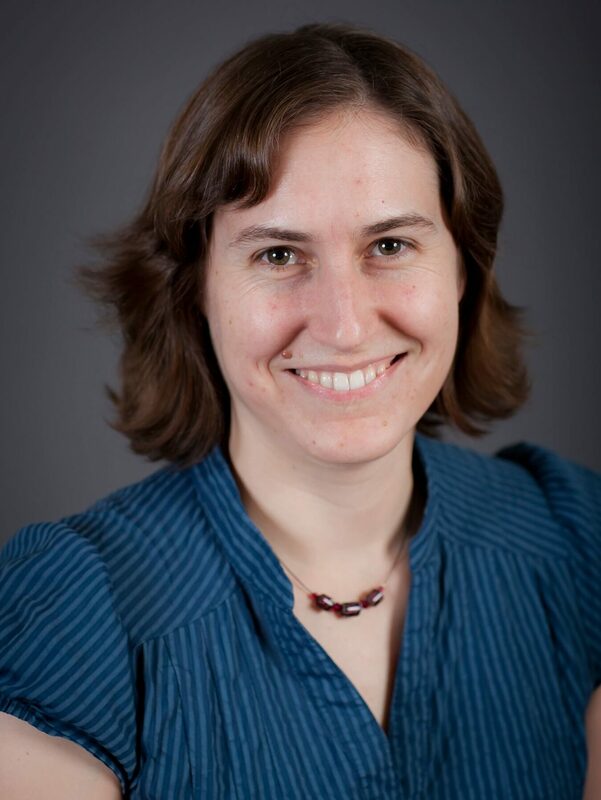 Guilford Technical Community College will present a talk by Katherine Moore. The lecture will be held at noon Tuesday, Feb. 27 in the Joseph S. Koury Auditorium on the Jamestown Campus. The event is free and open to the public. 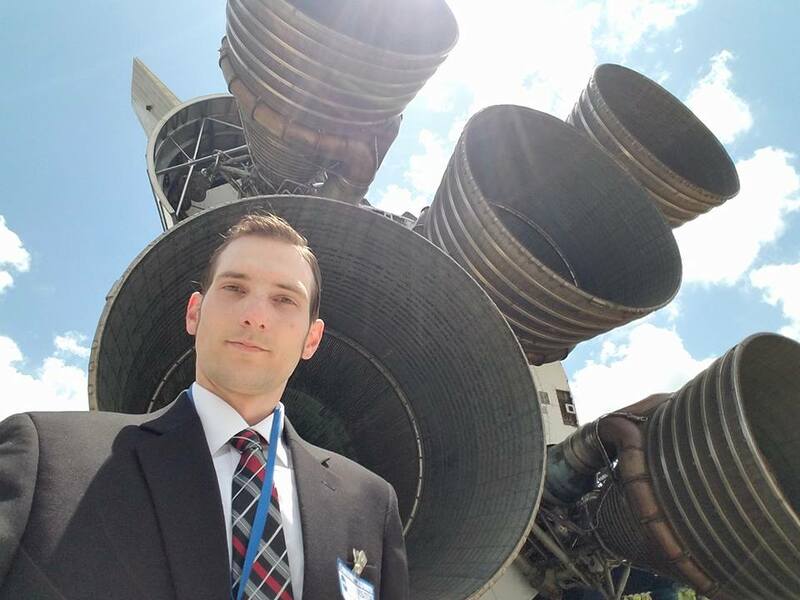 The Sky’s the Limit for Aviation Program Graduate -- Spencer Moore likes to be challenged. 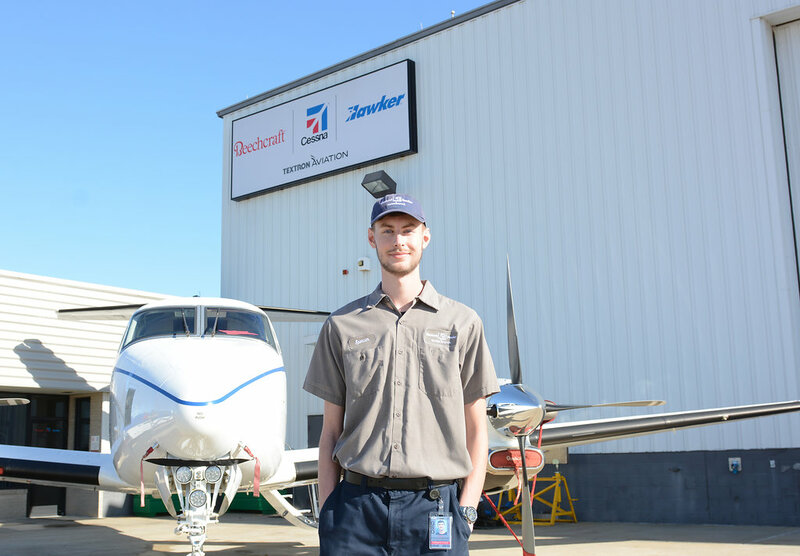 When the East Davidson High School graduate spotted an ad in the newspaper for Guilford Technical Community College’s aviation program, he was intrigued. GTCC student finds opportunity, employment through local program: Nick Dasnoit (’17) knew he wanted to major in Information Technology. It appealed to him as a stable and growing industry. The Greensboro News and Record highlights the Heroes Center’s efforts to support area veterans. The Heroes Center will provide student housing and life-skills training for student veterans and will work in partnership with Guilford Technical Community College. Spectrum News profiles GTCC students and Guilford County Dental Society volunteers participating in the American Dental Association’s ‘Give Kids a Smile’ event held on Feb. 9, 2018 at the GTCC Dental Hygiene Clinic in Jamestown. 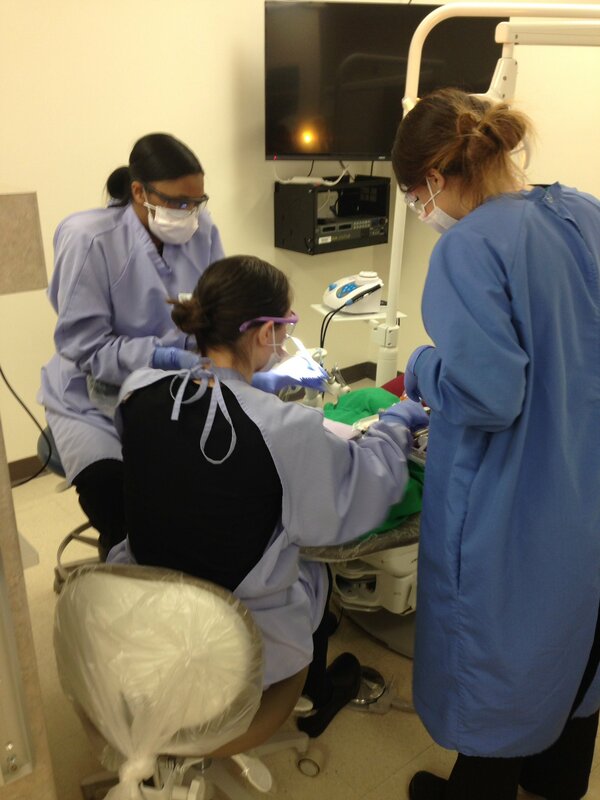 Twenty-three students from Hope Academy received free dental care through this program. The Financial Aid Office at Guilford Technical Community College is now accepting applications for the Spring Term 2018 State Employees’ Credit Union (SECU) Foundation Continuing Education Scholarship. 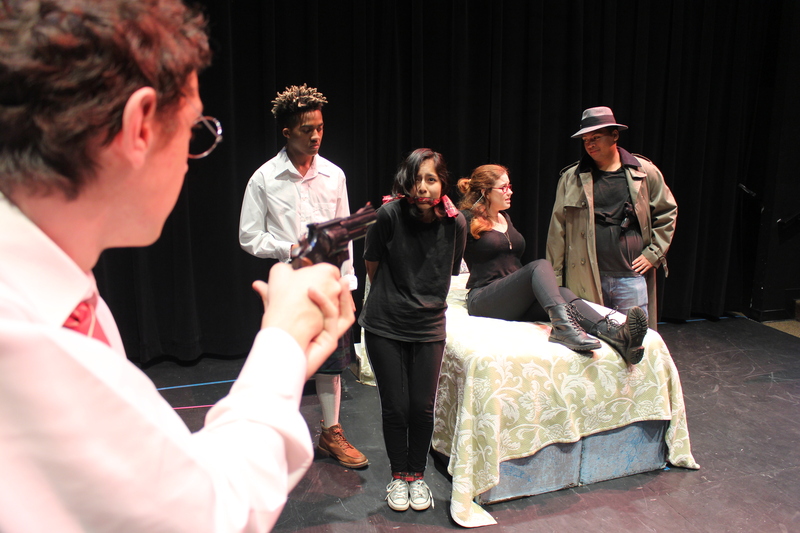 Guilford Technical Community College Performing Arts Theatre will present its spring production, “Unnecessary Farce,” April 5-7 and April 12-14 at the Center for Creative and Performing Arts on GTCC’s High Point campus. 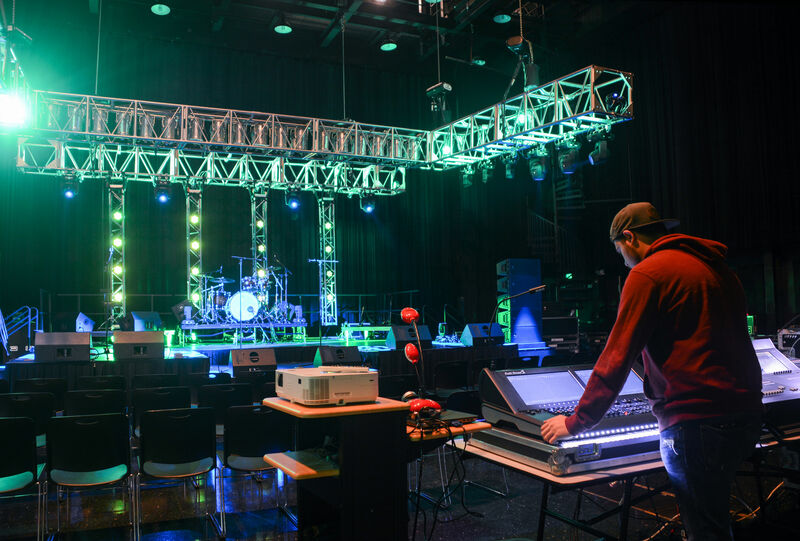 All performances will begin at 7 p.m.
Guilford Technical Community College will host its annual spring career fair on Wednesday, March 21 from 10 a.m. to 2 p.m. at the Medlin Campus Center on GTCC’s Jamestown Campus. This free event offers job seekers the opportunity to network with employers from a range of industries. 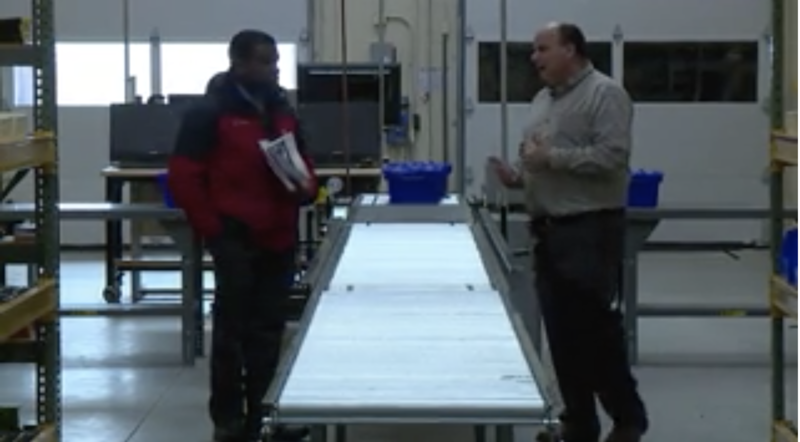 GTCC’s Sam Chinnis, associate professor of global logistics, spoke with FOX 8’s Charles Ewing on Greensboro’s readiness to support a large distribution center. GTCC offers a degree program in supply chain management and uses a model warehouse at its Cameron Campus to simulate what it is like to work in a distribution center. Guilford Technical Community College’s Model United Nations Club recently competed in the Southern Regional Model United Nations (SRMUN) conference held April 12-14 in Charlotte, N.C.
Guilford Technical Community College science faculty and students will host an open house in Science Hall on GTCC’s Jamestown Campus at 6 p.m. Friday, April 20. The free event will feature interactive demonstrations in chemistry, physics, geology, biology and astronomy. 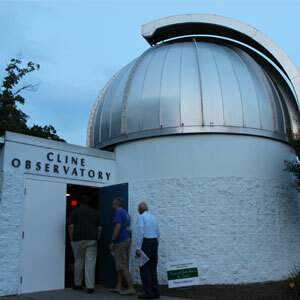 Cline Observatory will also be open afterward for viewing, weather permitting. Anyone interested in science or pursuing a career in science is encouraged to attend. 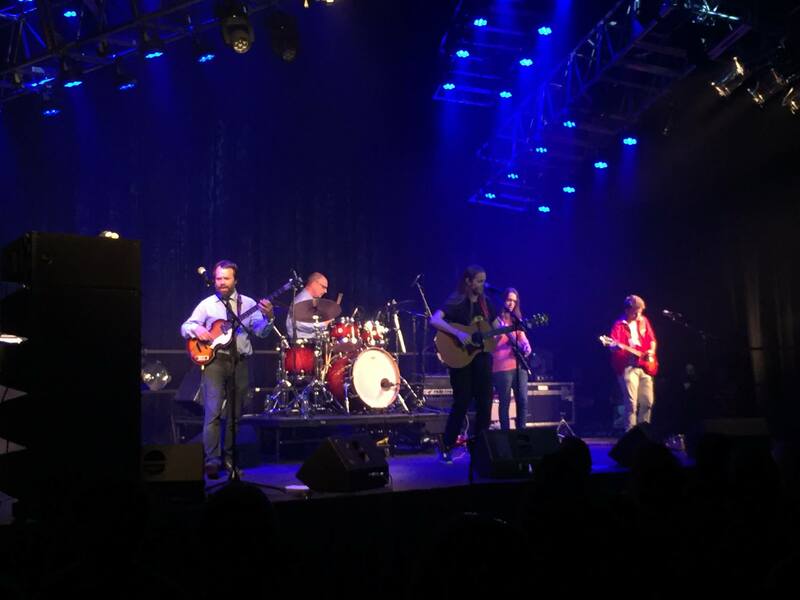 The Guilford Technical Community College Music Ensemble Showcase will be held Friday, April 27 at 7 p.m. in the H-4 Live Sound Lab on GTCC’s High Point Campus. The spring concert will feature a variety of songs from two groups, a small jazz combo and the main music ensemble. 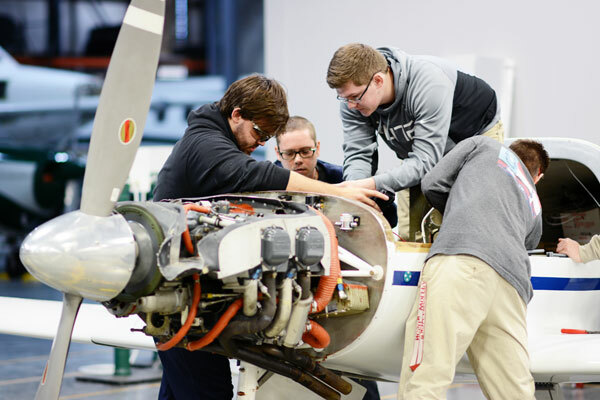 Guilford Technical Community College’s aviation program will host an open house and career fair 4 p.m. to 7 p.m. Tuesday, April 17. The free event will give attendees an opportunity to network with potential employers and learn about aviation’s most in-demand careers. 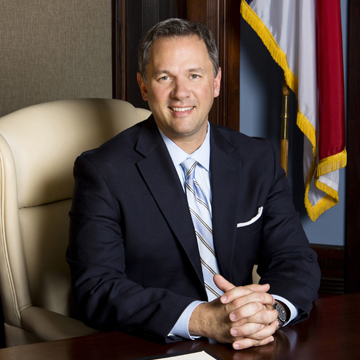 Guilford Technical Community College announced today that North Carolina Lt. Gov. 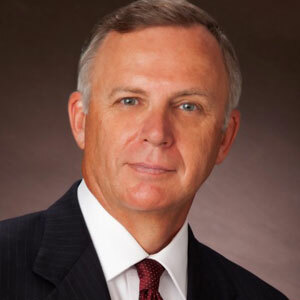 Dan Forest will speak at its 52nd commencement ceremony. 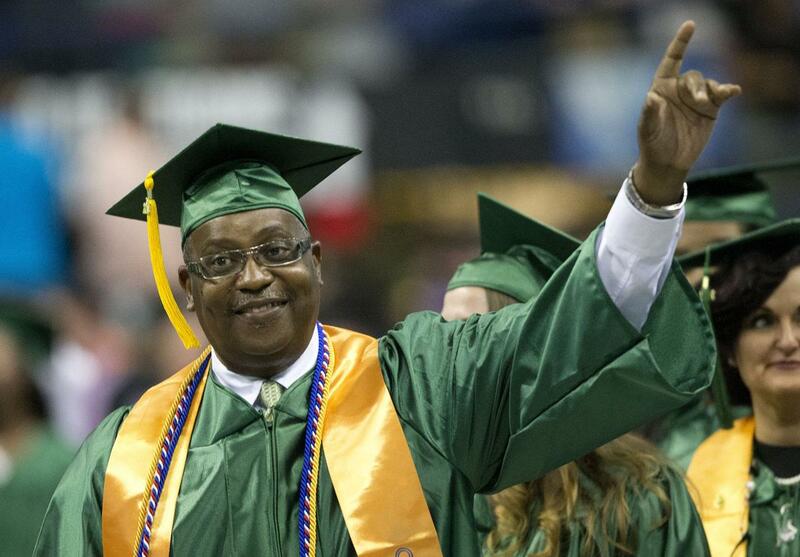 The event will be held at the Greensboro Coliseum on May 10 at 7 p.m. More than 1,300 students are expected to receive degrees at the ceremony. 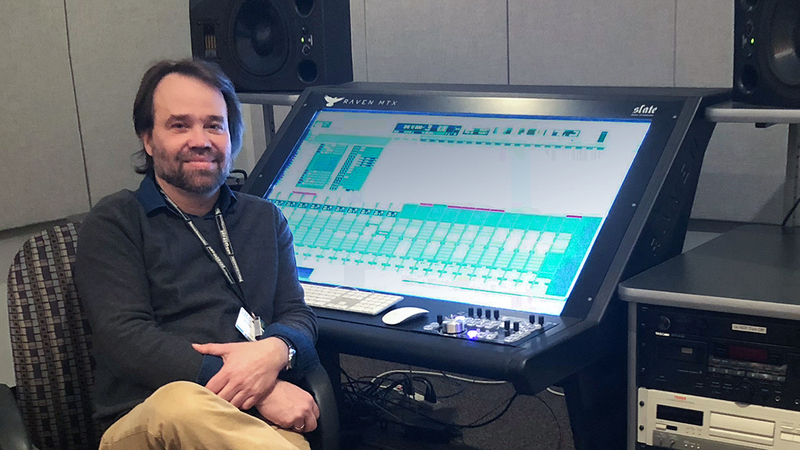 Avid Blogs features Mark Dillon, music technology instructor at Guilford Technical Community College’s Larry Gatlin School of Entertainment Technology. Dillon leads ensembles and shows students the ins and outs of music recording. 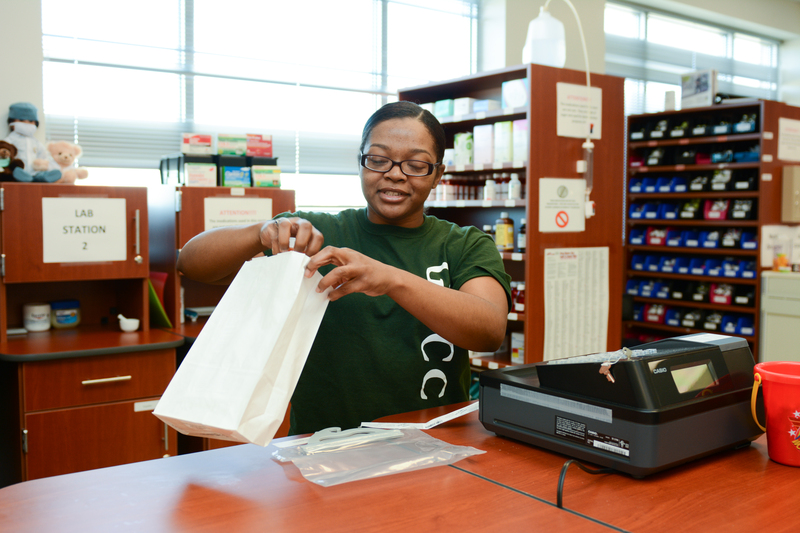 Guilford Technical Community College’s Pharmacy Technology Program has received accreditation from the Pharmacy Technician Accreditation Commission (PTAC). With this achievement, GTCC becomes just the 11th academic institution in North Carolina with an accredited program for pharmacy technicians. An industry-driven training program designed by and for local furniture manufacturers has achieved 100 percent job placement for eligible students at Guilford Technical Community College. 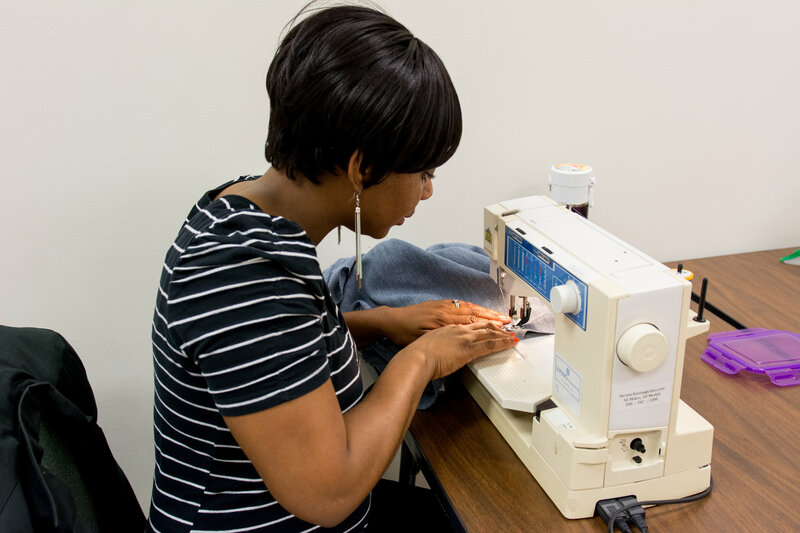 Graduates of the first furniture sewing class offered at GTCC have entered the workforce, fulfilling the need for these in-demand positions. Guilford Technical Community College President Dr. Randy Parker has received the 2018 Distinguished College President Award by the Phi Theta Kappa (PTK) Carolinas Region. Dr. Parker was nominated by the members of GTCC’s PTK chapter, Alpha Pi Alpha, for the strong level of support he and the college give to the chapter and its activities. Guilford Technical Community College students excelled at the SkillsUSA North Carolina State Conference held April 18-20 in Greensboro. 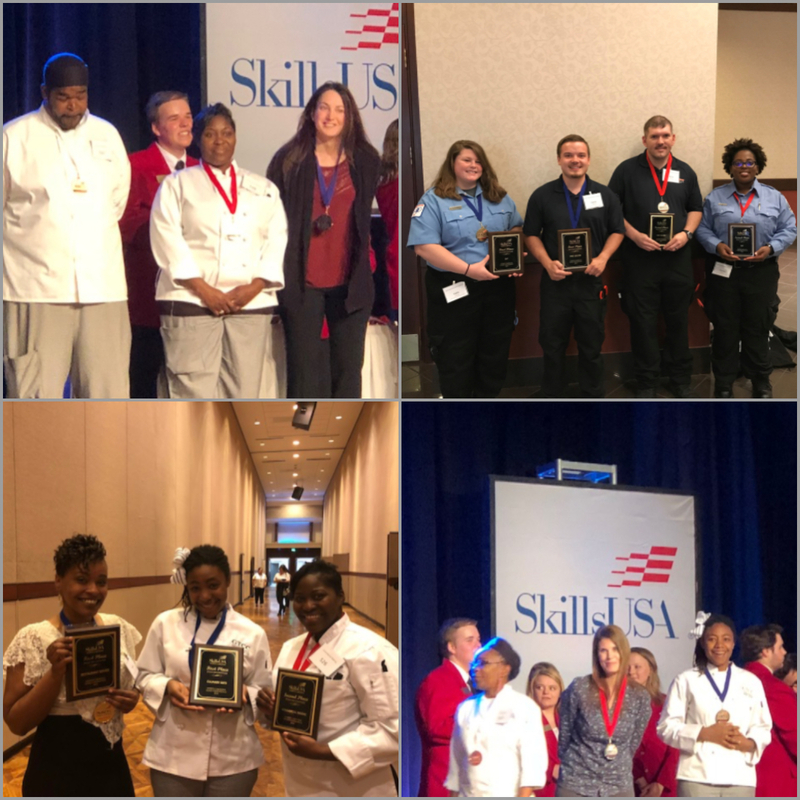 Fifteen students placed first in the competition with several advancing to compete in the 54th annual SkillsUSA National Leadership and Skills Conference June 25-30 in Louisville, Kentucky. Guilford Technical Community College will host a free open house for its Avionics Technology program 4 p.m. to 7 p.m. Tuesday, June 5 at Aviation Center II Avionics Lab located at 819 Radar Road, Greensboro. 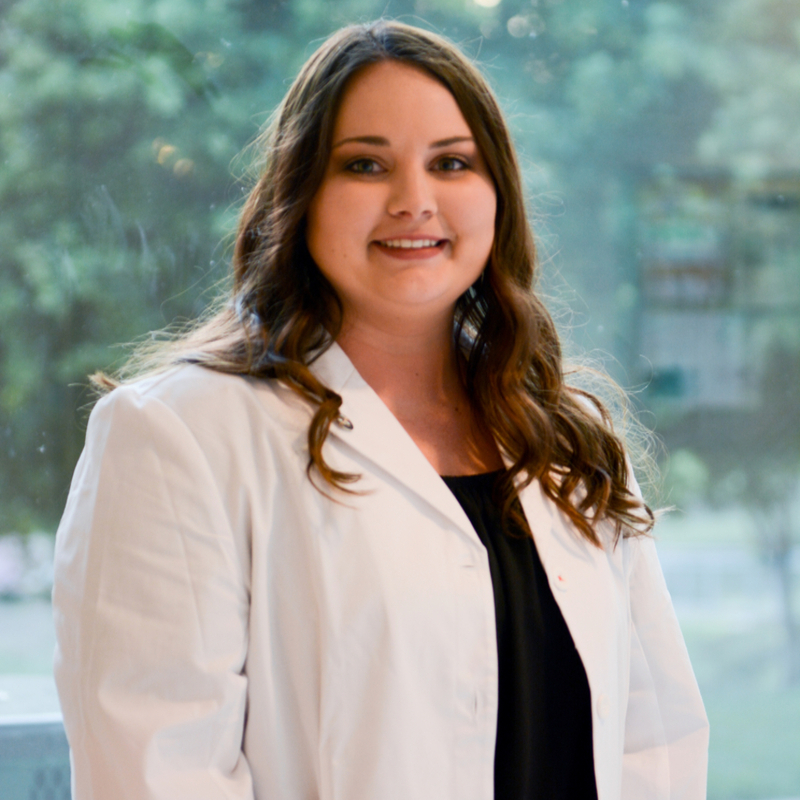 For GTCC graduate Katelynn Purcell, it has been a long road to her dream career. Her journey began in 2011 when she was still in high school and has been littered with trials and tribulations. FOX 8 reports on the impact GTCC is having with local furniture manufacturers. 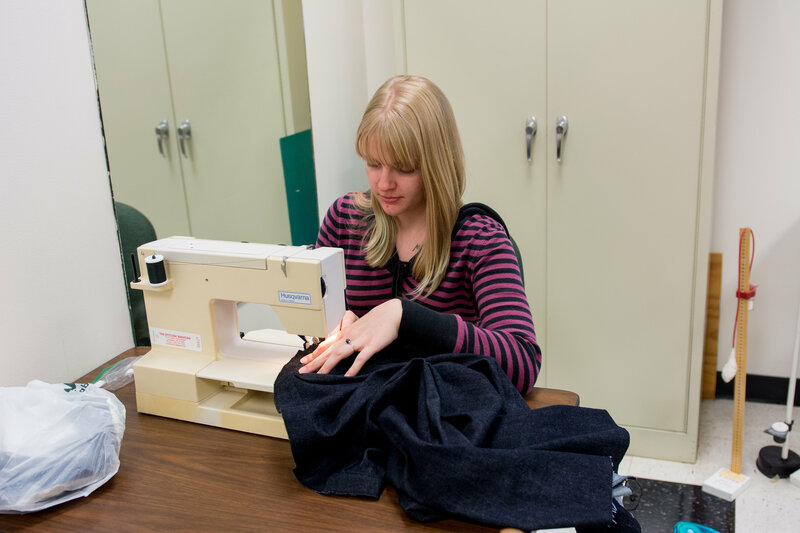 A furniture sewing program launched last year has resulted in 100 percent job placement for eligible students. When Claimon Tyler first enrolled at GTCC, he was homeless, working minimum wage and had just spent the last eight years of his life in prison. He was committed to making a change and was ready to put in the time and effort necessary. 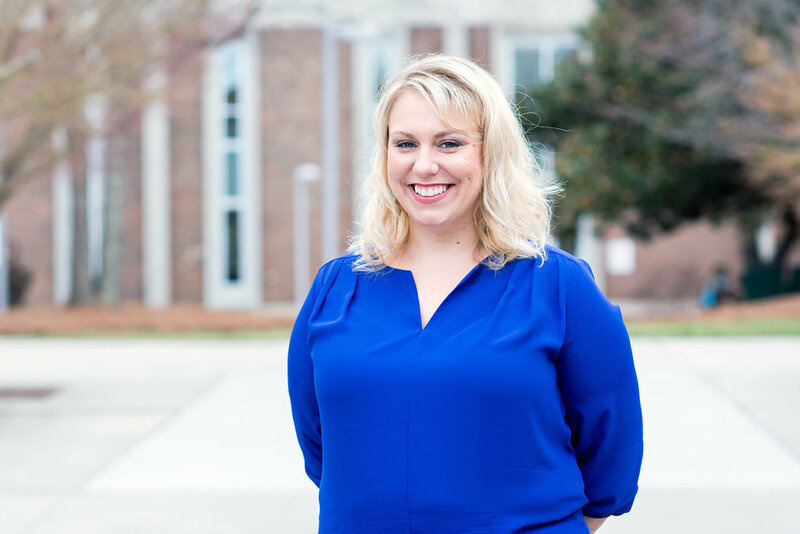 Stephanie Jarrell (’18) seized the opportunity to return to school after 15 years to achieve her dream of becoming a registered nurse. 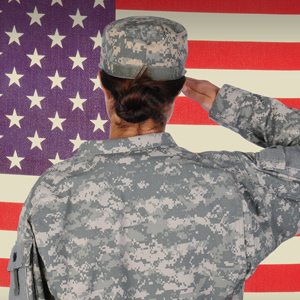 Guilford Technical Community College welcomes many veterans on campus and offices specialized resources to help them succeed in their coursework and pursue meaningful careers. 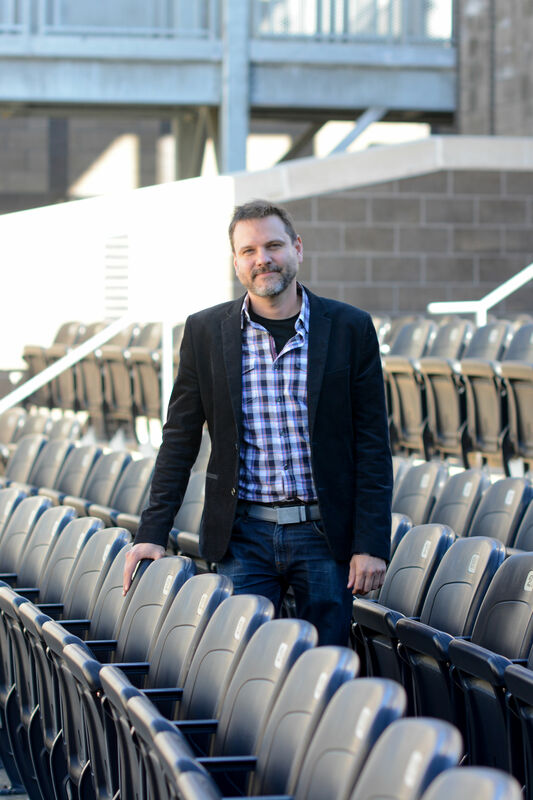 This is something that doesn’t go unnoticed, especially by Army veteran and recent music business graduate, Jeff Duncan. 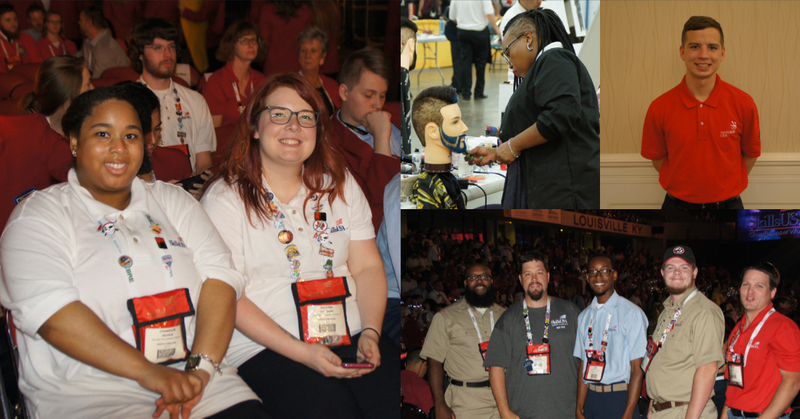 Guilford Technical Community College students earned top 10 rankings at the 54th annual SkillsUSA National Leadership and Skills Conference held June 25-30 in Louisville, Kentucky. Scholastica Nwaokeke works third shift at FedEx Ground in Greensboro, N.C. After moving to the Triad from New Jersey, she realized her interest in global logistics could turn into a career. Originally planning to study history, a back injury that nearly left him paralyzed inspired Chris Wright to pursue a career where he could serve others. Guilford Technical Community College has launched a new website. The revamped site was designed to be student-focused, making access to information quick and easy. 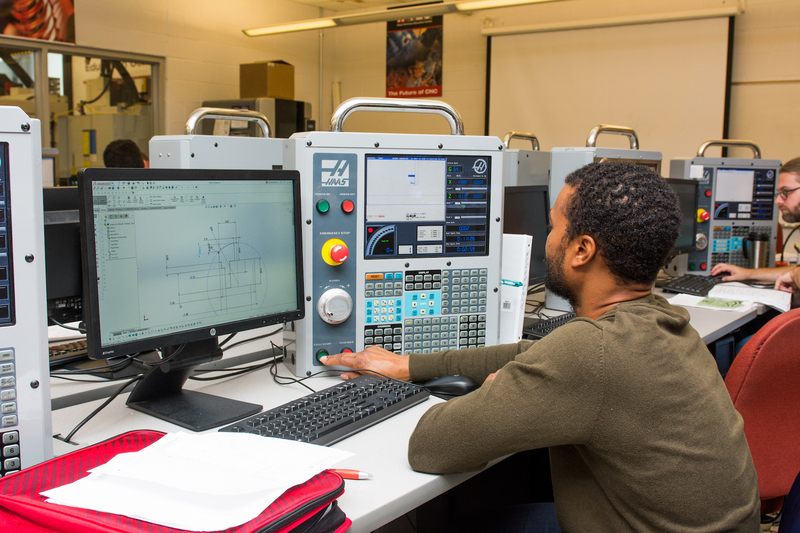 Guilford Technical Community College will host an open house event for its Computer Integrated Machining program on Thursday, July 26 in Jamestown. 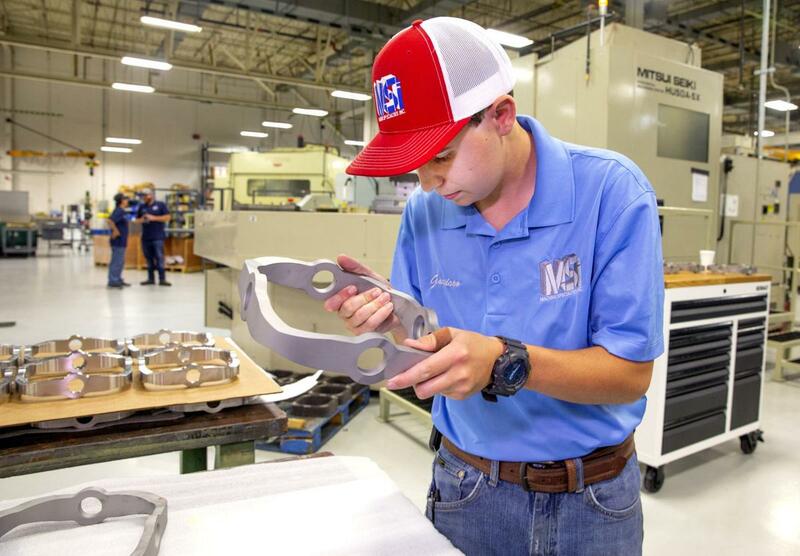 New technology has increased the demand for skilled machinists. 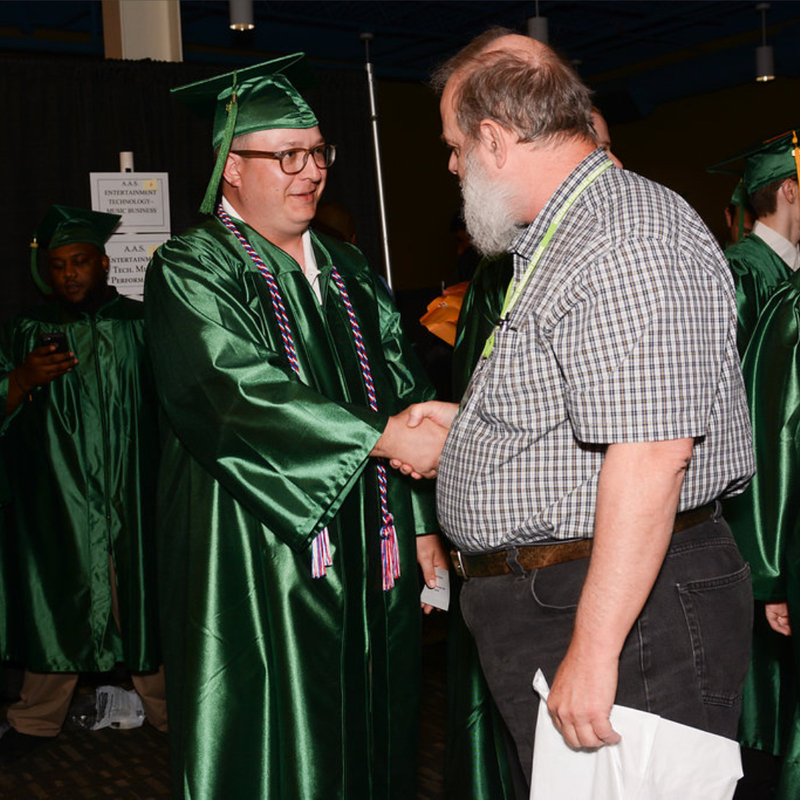 Most machinists work in small machining shops or in manufacturing firms but you’ll also find metalworkers like GTCC graduate Brian Wilson in industries like jewelry. 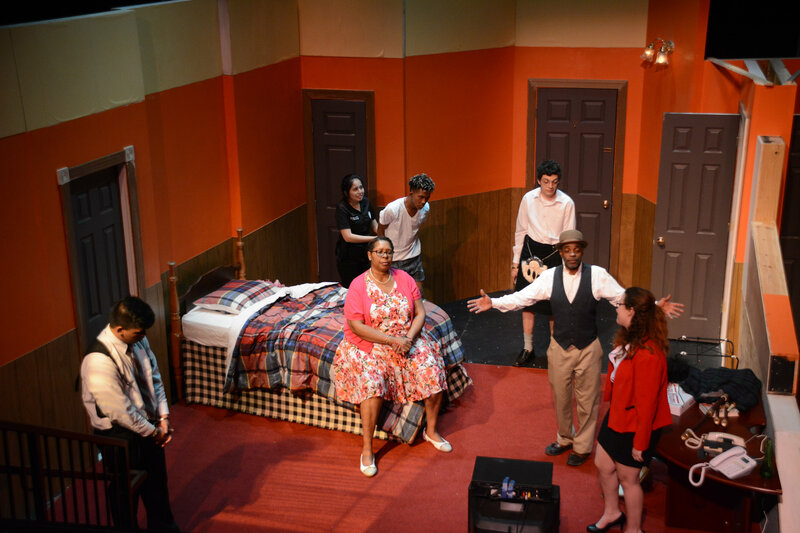 Guilford Technical Community College's Thomas Johnson, Sybil Newman and a cohort of entertainment technology students lend their talents to support the United Way of Greater Greensboro's efforts to fight poverty. 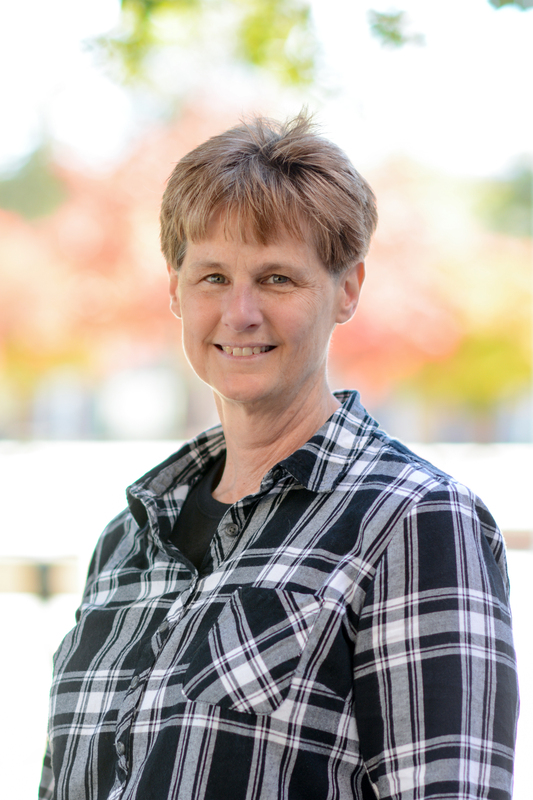 Pamela Ingram, a student at Guilford Technical Community College, has been named an inaugural 2018 New Century Workforce Pathway Scholar and will receive a $1,250 scholarship. Ingram received the highest score in the state of North Carolina. Each semester Guilford Technical Community College recognizes students for their outstanding academic achievements. Congratulations to our students who made the President's, Dean's and Honors lists for summer 2018. 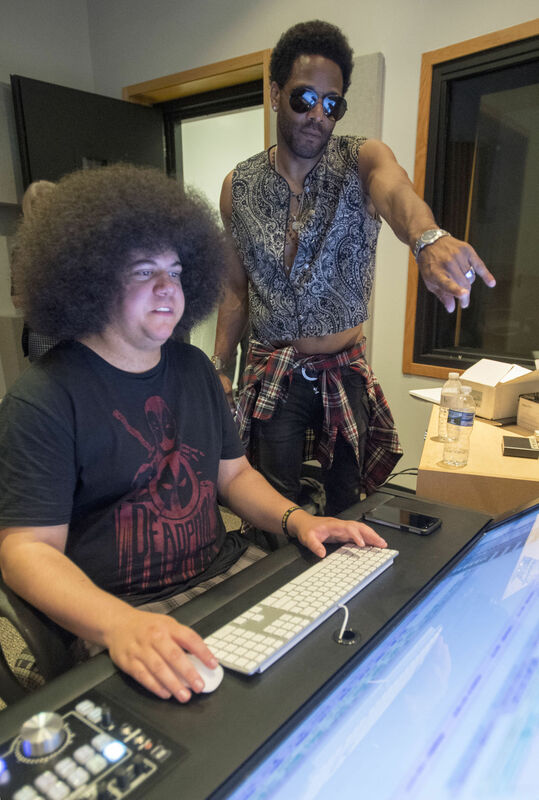 GTCC graduate Fredrick Pegues ('17) is featured in a new Stouffer's television commercial. He shared with WXII's Wanda Starke the importance of family and how he and his twin daughters, Hope and Faith, studied around the dinner table. It is where Pegues says he "earned his college degree." 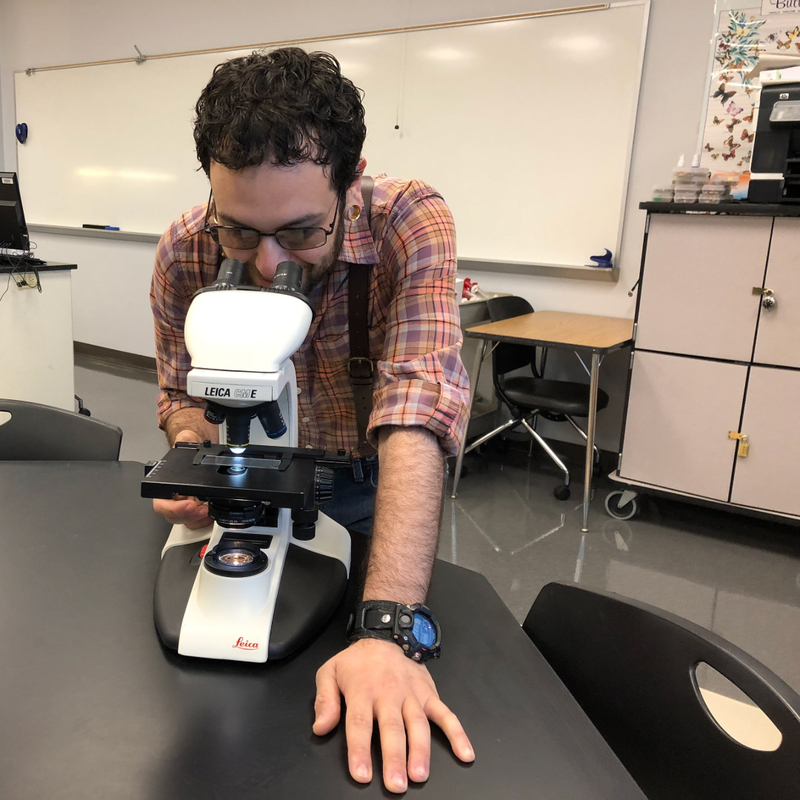 Guilford Technical Community College faculty recently completed a four-day academy on Multicultural Education in the Classroom. 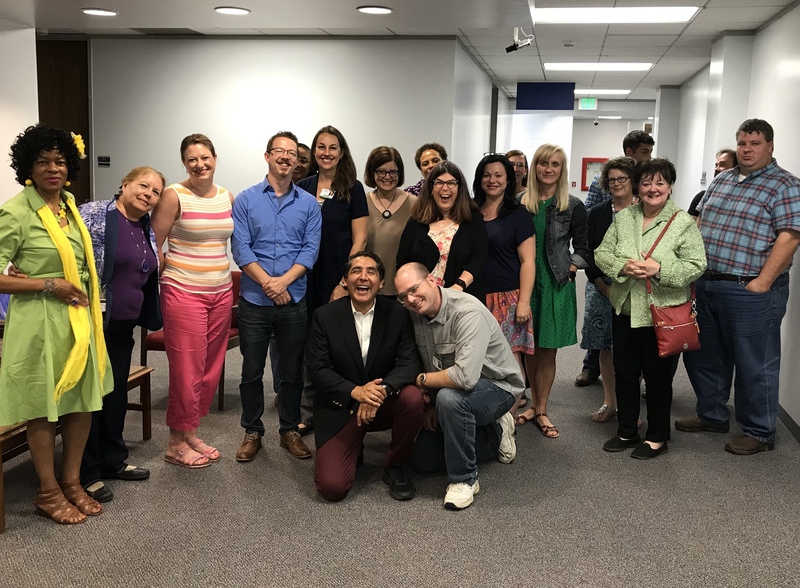 Open to both full-time and part-time faculty in both technical and curriculum departments, the summer academy brought together educators to discuss topics on cultural competence and religious tolerance, poverty, LGBTQ+ inclusion, veteran integration in the classroom and how to better accommodate the needs of students with disabilities. Matthew Lomas goes the extra mile on campus, has a plan for his future and uses his strengths to propel himself toward his goals. But, it wasn’t always this way. Signing day is no longer just for athletes. 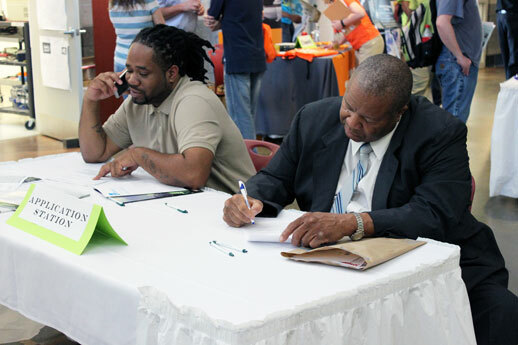 On Thursday, Aug. 16, Guilford Apprenticeship Partners (GAP) extended 40 high school students and recent graduates apprenticeships during a signing day ceremony at Guilford Technical Community College. The 2018 GAP apprentice class is nearly triple the size of the inaugural class and represents $5 million in scholarships. The program is entering its third year. 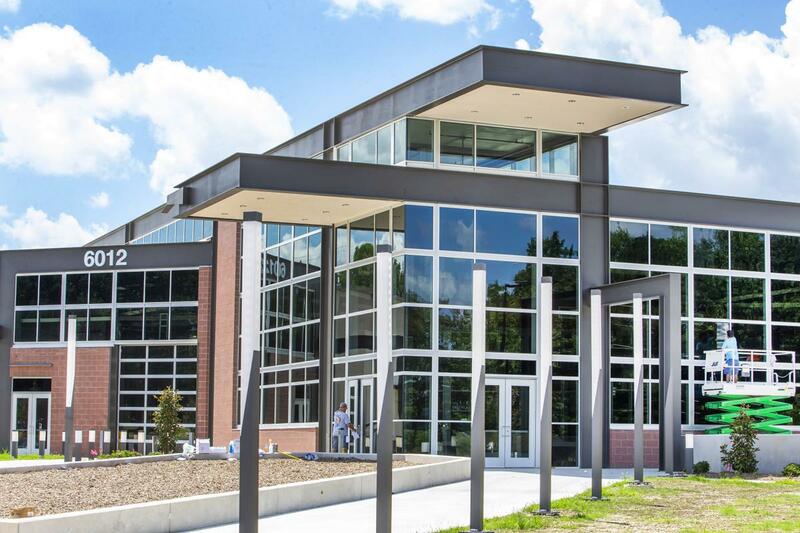 GTCC President Dr. Randy Parker shares with the Greensboro News & Record details about the newest addition to GTCC's Jamestown Campus -- the new Center for Advanced Manufacturing. 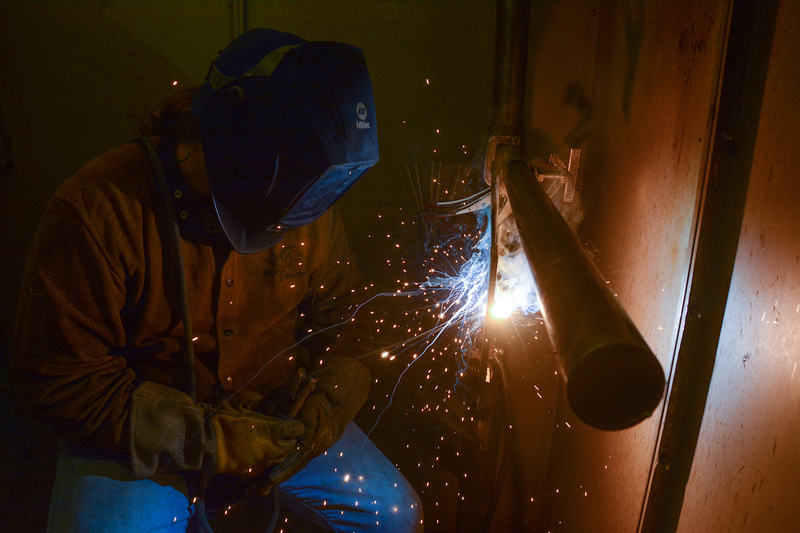 Opening fall semester 2018, the facility will be home to three growing programs: transportation, welding technology and computer integrated machining. The 242,000 square-foot facility will allow the college to serve more students and provide flex lab space for companies to install equipment and train employees. The Cline Observatory on GTCC's Jamestown campus offers free opportunities for stargazing through telescopes on clear-sky Friday evenings. Mike Blanke was standing in an empty hangar when it happened. The moment he became fascinated with flight. An airshow and 1940s swing dancing lessons brought him to Monroe, North Carolina. He didn’t realize it then but that afternoon would have a profound impact on his trajectory. 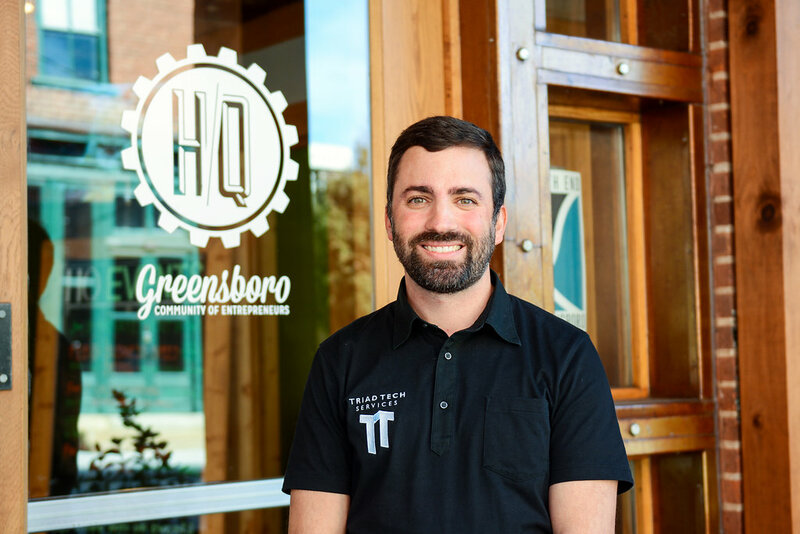 The Greensboro News & Record takes a look at the value of apprenticeship programs like those offered in Guilford, Randolph and Rockingham counties. 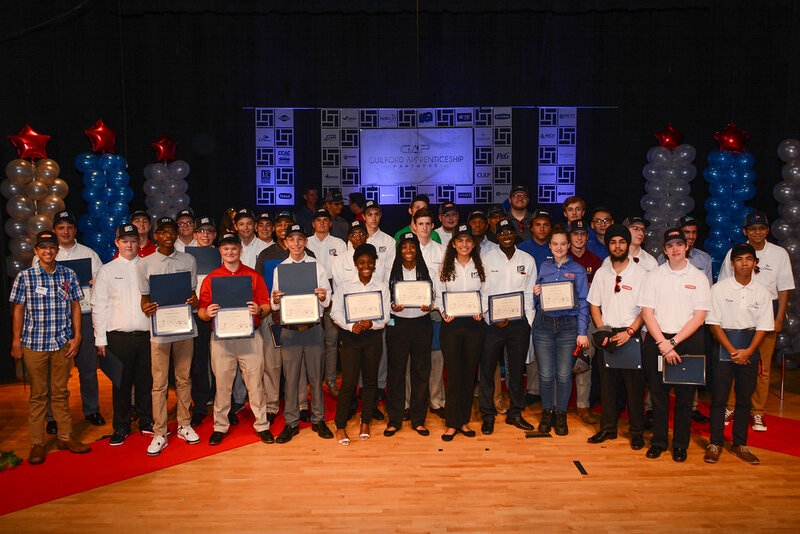 The Guilford Apprenticeship Partners initiative, a collaboration between local industry, economic development and GTCC, is in its third year and recently signed its largest class of apprentices. 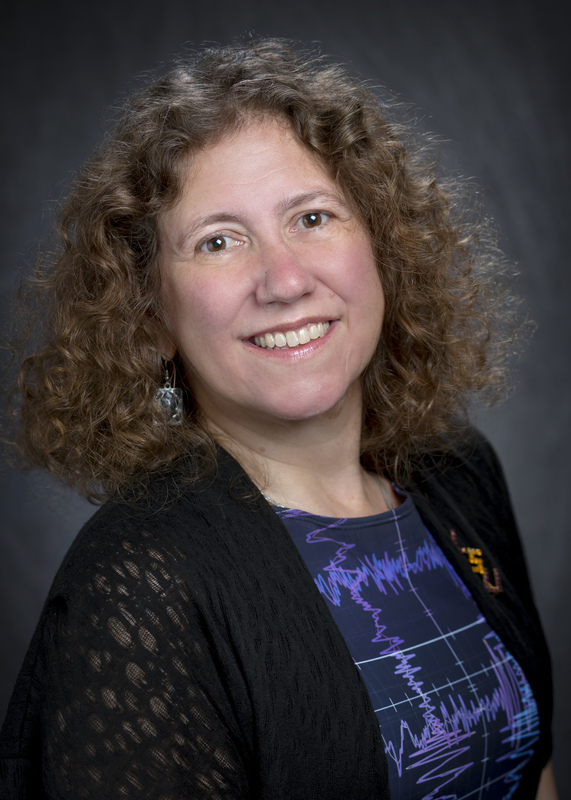 Guilford Technical Community College’s Cline Observatory and the GTCC Foundation will present a free lecture, “Einstein, Gravitational Waves, Black Holes and Other Matters” by Dr. Gabriela González. The annual Jo Cline Astronomy Lecture will be held at 7:30 p.m., Friday, Sept. 21 in the Joseph S. Koury Auditorium on GTCC’s Jamestown Campus. 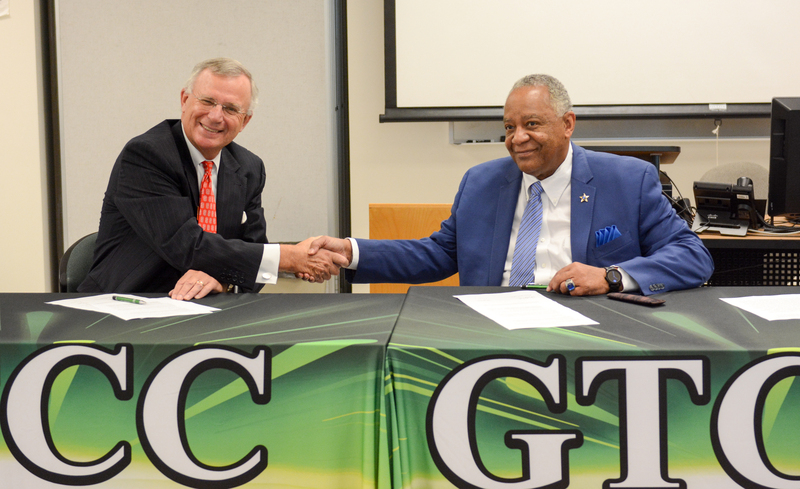 Fayetteville State University and Guilford Technical Community College have signed an agreement that allows GTCC graduates to complete an online bachelor’s degree at FSU at a total cost of no more than $10,000 in out-of-pocket expenses. Guilford Technical Community College will open at 10 a.m. on Monday, Sept. 17. 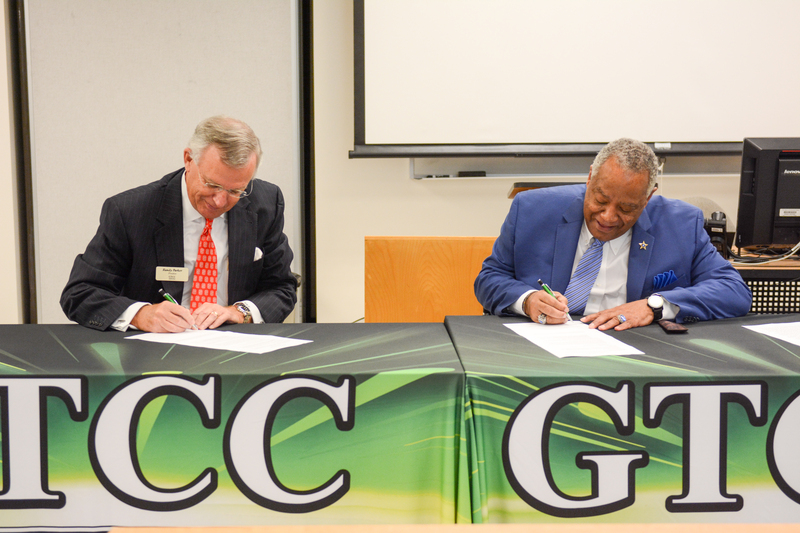 GTCC has a new deal to help its graduates earn a bachelor’s degree for no more than $10,000. Education NC recently visited GTCC's Aviation Campus to learn about the programs in this growing industry. 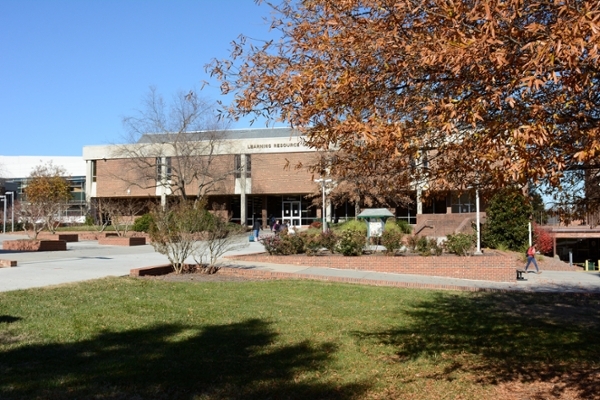 Guilford Technical Community College will resume normal operations Saturday, Oct. 13 with the exception of the Greensboro Campus located at 3505 Wendover Ave East. This campus will remain closed on Saturday due to a power outage. 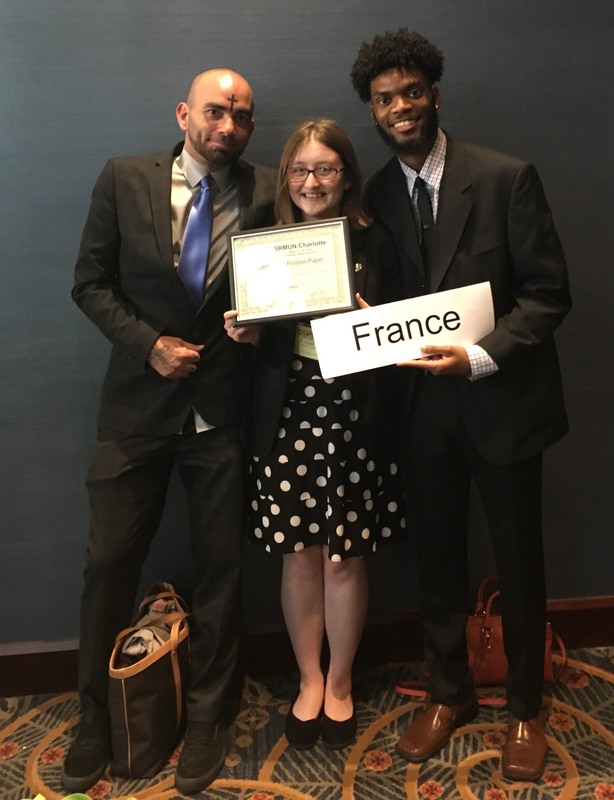 Guilford Technical Community College’s Model United Nations Club recently competed at Corruption: Elon University’s Training Conference held on Sept. 22. 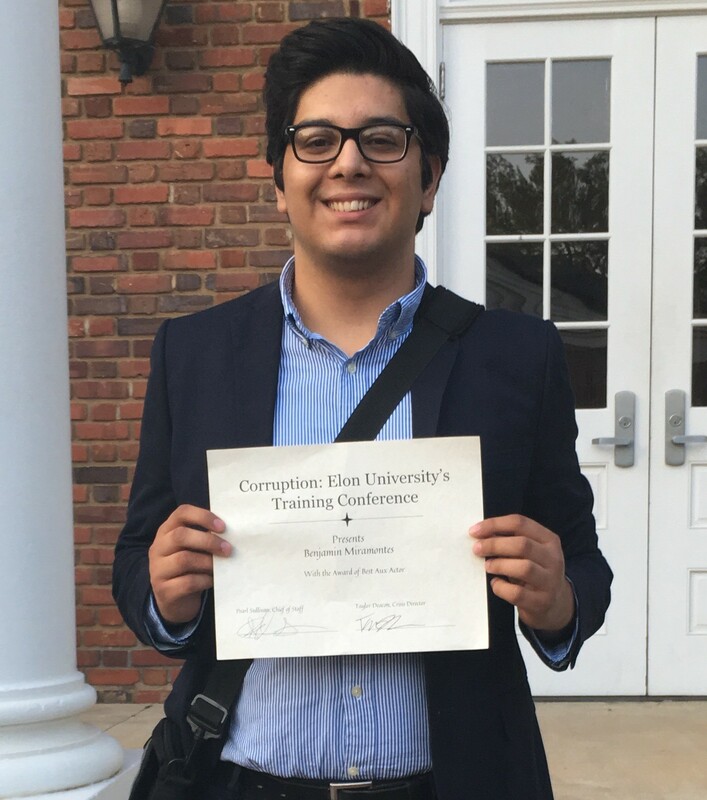 GTCC student Benjamin Miramontes earned an award at the conference for his role as an aux actor. His mornings begin at 5:30 a.m. but Jared Ranes says he wouldn’t trade the long days for the world. 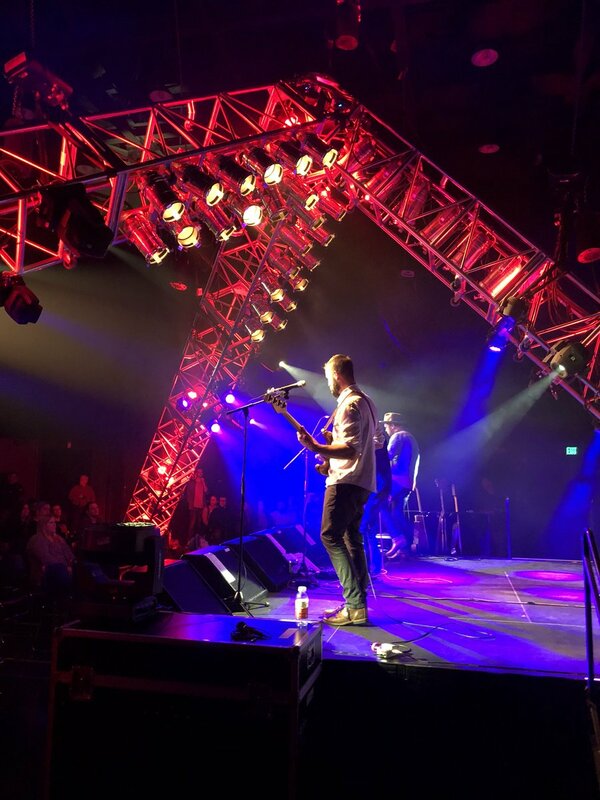 He uncommon commute takes from his home in Clayton, North Carolina, to GTCC’s High Point campus where he is enrolled in the concert lighting and sound program. 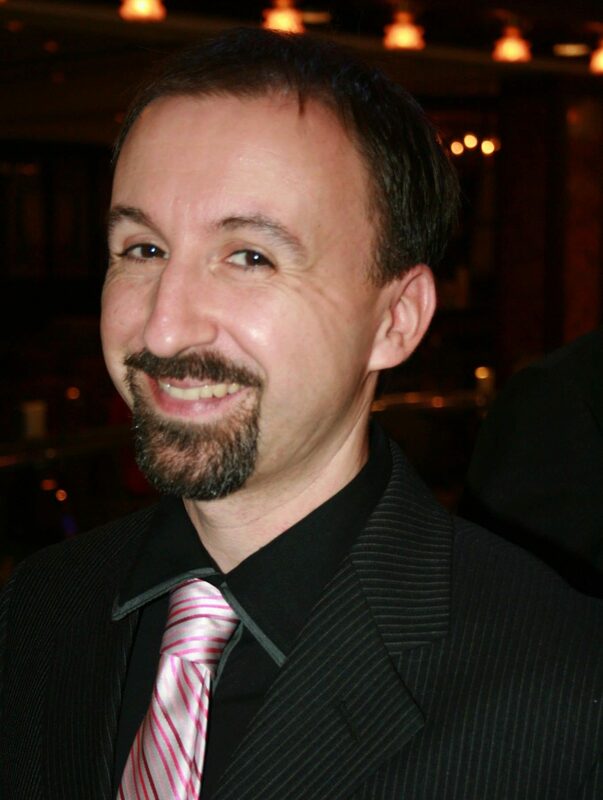 Guilford Technical Community College has named Dr. George D. McConnell as instructor of drama. He assumed the role in August. Three Guilford Technical Community College students joined others from Davidson Community College and Forsyth Technical Community College on an adventure they won’t soon forget. 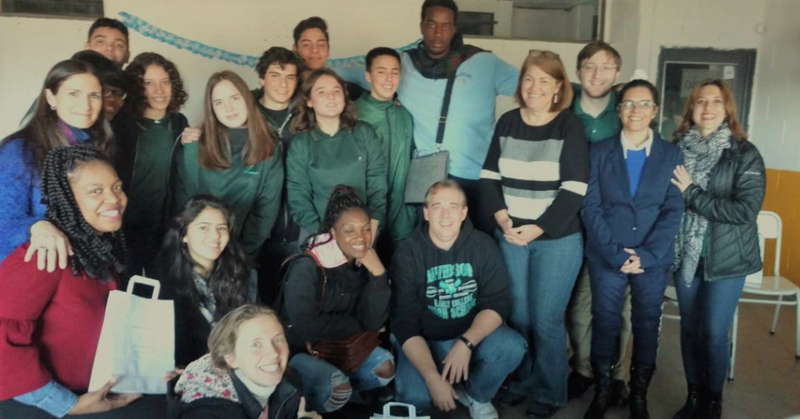 Through a partnership with Universidad Nacional de Villa María in Argentina, eight area community college students spent two weeks in Argentina as part of a faculty-led study abroad program. 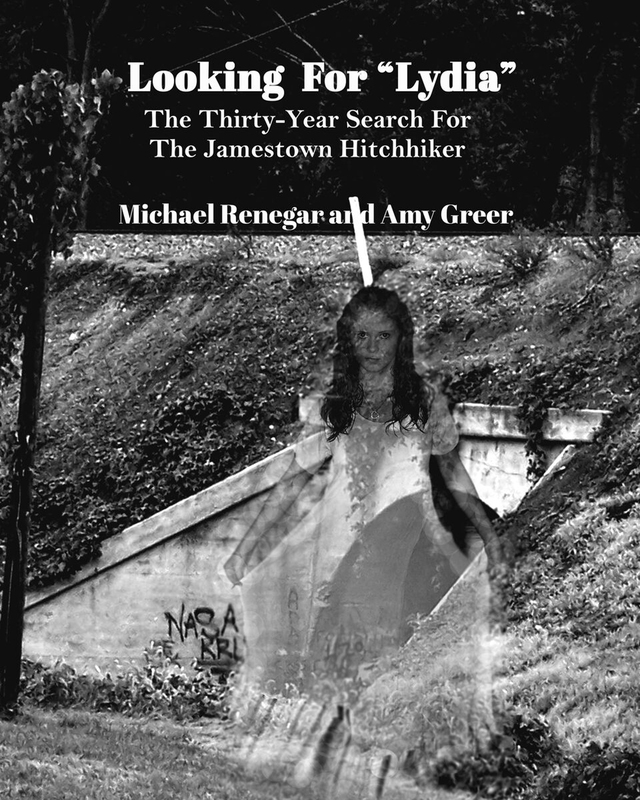 Guilford Technical Community College will host a special presentation by the authors of “Looking for Lydia – the Thirty Year Search for the Jamestown Hitchhiker” Oct. 30 from noon to 1 p.m. in the Percy H. Sears Applied Technologies auditorium in Jamestown. The book’s co-authors, Amy Greer and Michael Renegar, will discuss their nonfiction work and the search for the hitchhiker’s true identity. The event is free and open to students, faculty, staff and the general public. 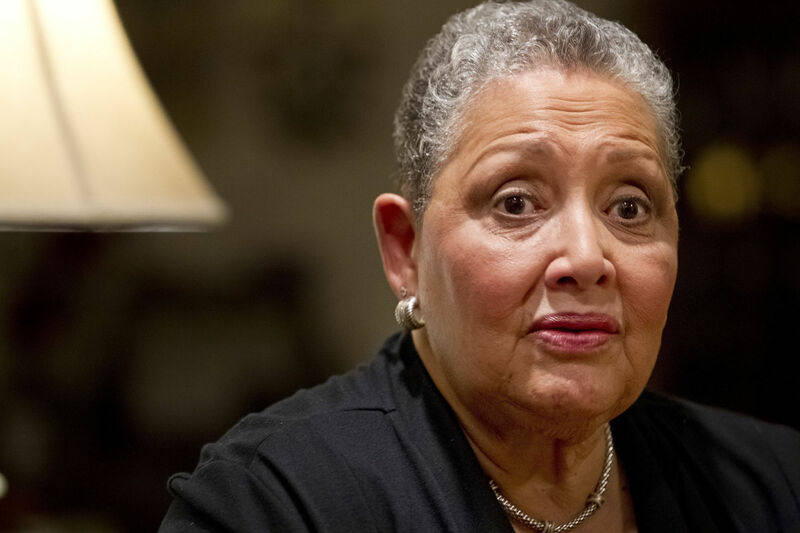 Standing at the crossroads of a career she knew and a desire to blaze her own path, Diane Summerville chose the road less traveled when she started her own business. 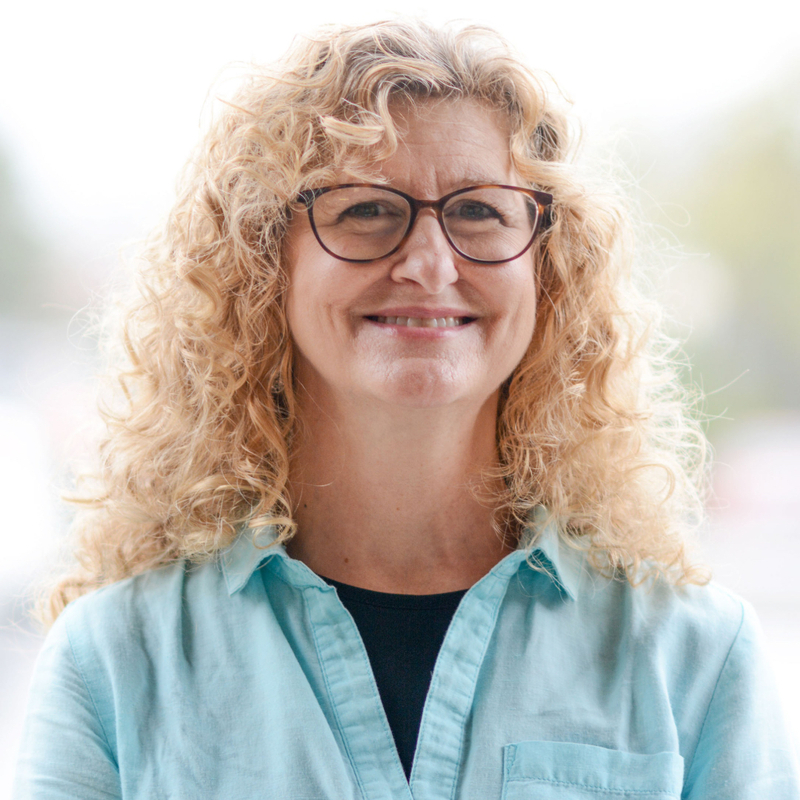 With coaching from Guilford Technical Community College’s Small Business Center, she founded New Day Transitions, Inc., a move management firm that helps seniors transition from the homes they have known and loved to a smaller home or retirement community. Guilford Technical Community College welcomed two new members to its board of trustees Thursday, Oct. 18. 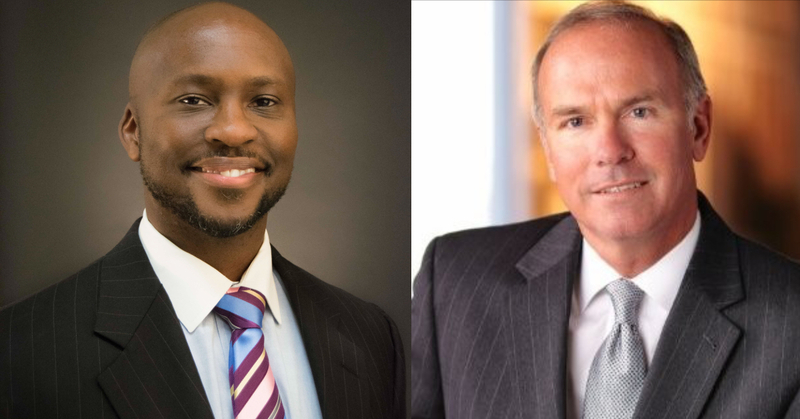 Kip Blakley of Greensboro and Brent D. Moore of Greensboro have been appointed by Gov. Roy Cooper to the GTCC Board of Trustees. Guilford Technical Community College has expanded its Paralegal Technology Program to include a post-bachelor’s paralegal certificate. 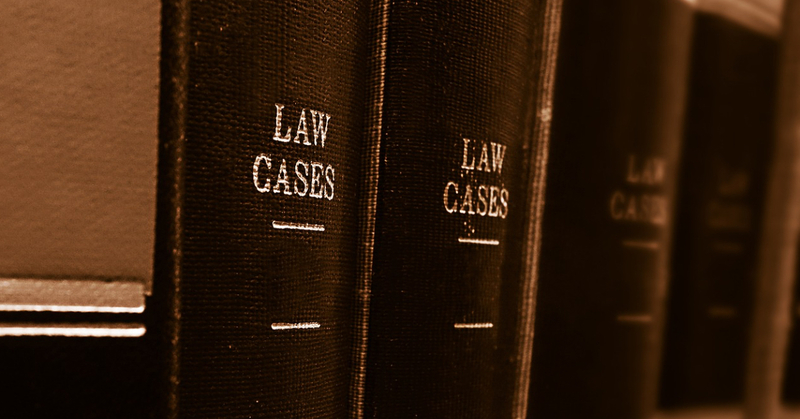 The new program allows qualifying students to meet the educational requirements for the North Carolina paralegal certification exam after just one semester (18 credit hours) of paralegal courses. 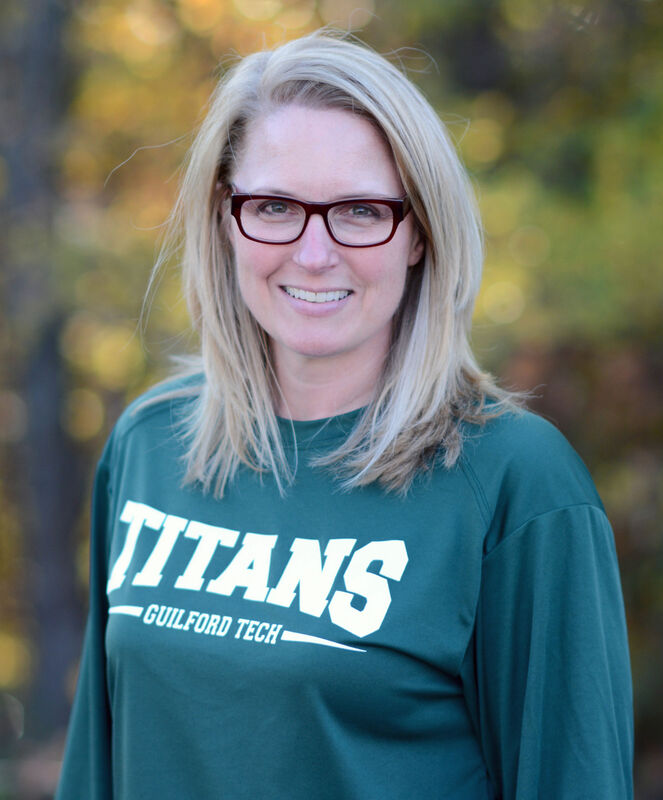 Melinda Wray has joined Guilford Technical Community College as its Medical Assisting Program director. She assumed the role in August. 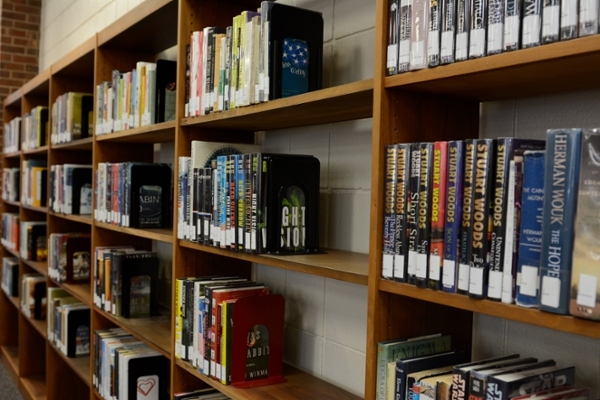 GTCC has added a second accelerated track to its paralegal program. The community college now offers a one-semester paralegal program for people who already have a two-year or four-year college degree. 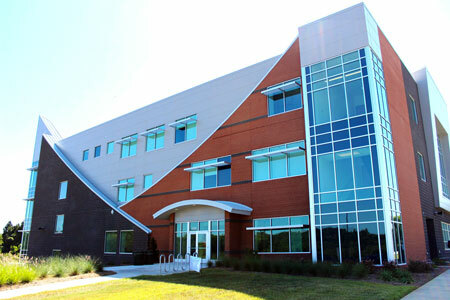 Guilford Technical Community College’s Aviation III Building has a new name. 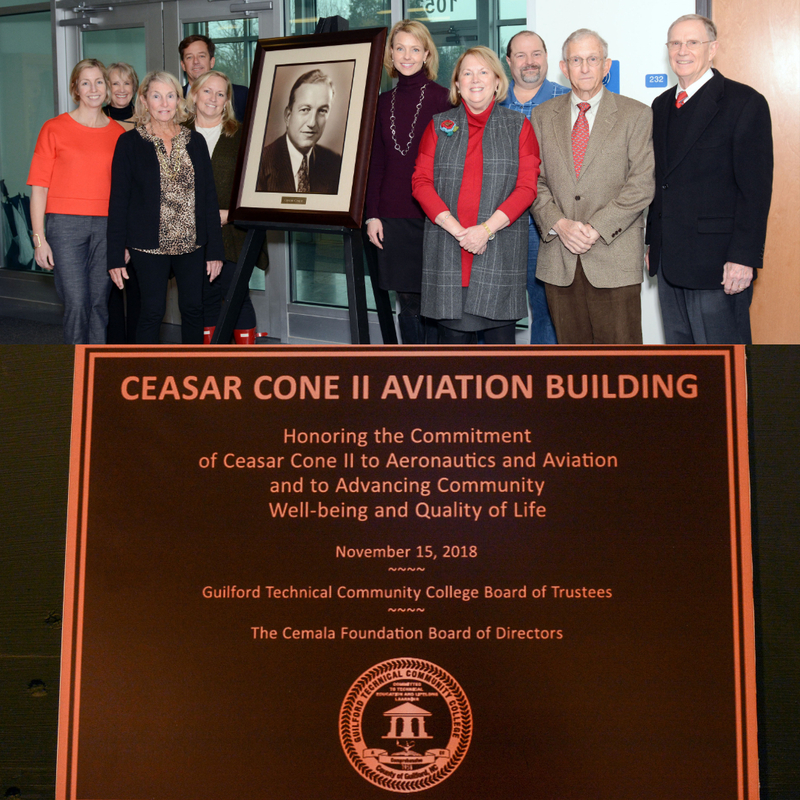 The college’s Board of Trustees and the Cemela Foundation Board of Directors dedicated the building as the Ceasar Cone II Aviation Building during a special ceremony Nov. 15. Sonya Beeler is nearly halfway through her first season as women’s head basketball coach at Guilford Technical Community College. She may be new to North Carolina but the hardwoods are a familiar friend. With a coaching career that has extended over 20 years at both the high school and collegiate levels, Beeler is focused on building a culture of respect with her team at GTCC. It is often said that what influences people the most are the experiences they go through in life. For Guilford Technical Community College student Casey Trivette, the saying holds true. 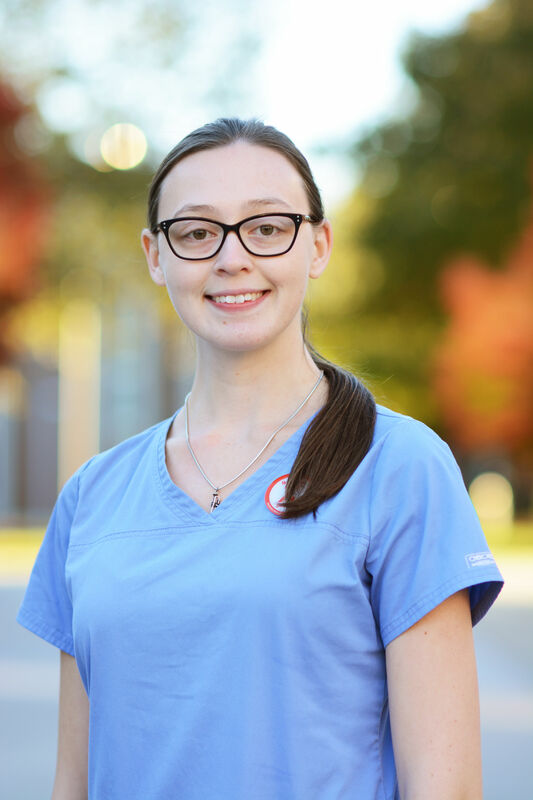 Trivette, who will graduate with an associate degree from GTCC’s Medical Assisting program in 2019, has used her personal experiences, as well as those around her, to shape her career goals. GTCC will resume normal operations Friday, Dec. 14. 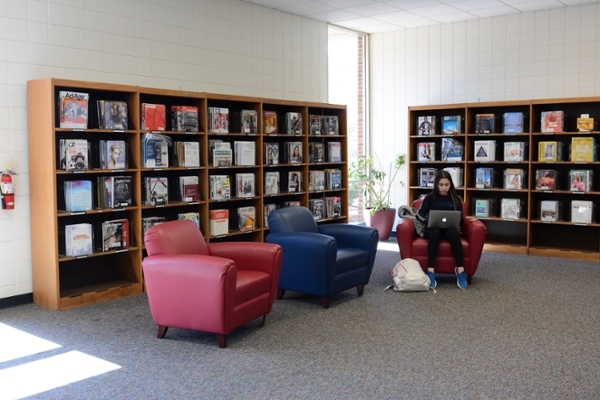 The Medlin Campus Center on Guilford Technical Community College’s Jamestown campus will be receiving a much-needed facelift. The college’s Board of Trustees has approved a $19.4 million construction budget to renovate the building. During the renovation, all student-facing services will be temporarily relocated to the Percy H. Sears Applied Technologies Building effective January 2019. 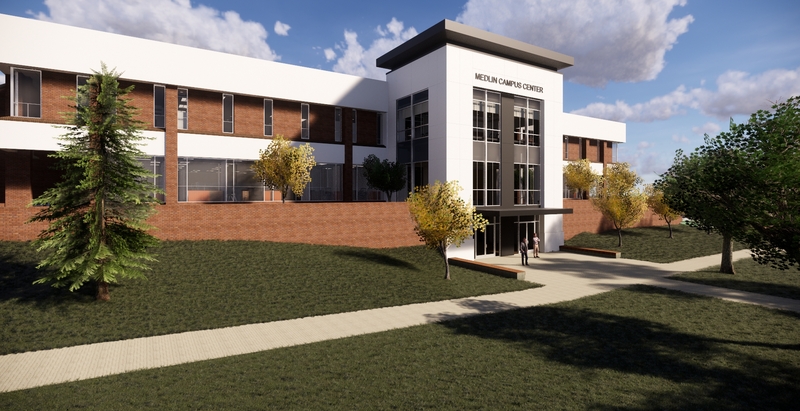 The Greensboro News & Record speaks with GTCC's Mitchell Johnson about the renovations to Medlin Campus Center.